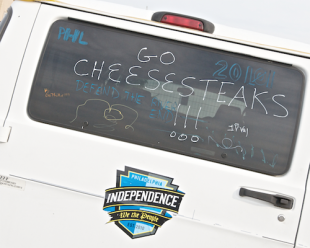 This time last year, the Philadelphia Independence were entering the end of preseason training. Now, players from the 2011 team—as well as new players who were announced or rumored to be joining the club before the 2012 WPS season was cancelled—are spread all over Europe and the US. Philadelphia soccer fans will have soon have the WPSL Elite League’s Philadelphia Fever to follow. In the meanwhile, here’s a look at what former Independence players have been up to. If you have further news of what the players are doing, let us know in the comment section. Paul Riley – The former Independence coach now will lead the NY Fury, which recently replaced Boston Aztecs in the WPSL Elite League. Riley will coach the Fury with the help of his assistant coaches at the Independence, Skip Thorpe and Mike Demakis. Riley is also running the Women’s Professional Supergroup training camps that will soon commence at United Sports in Downingtown. Danesha Adams – After playing for Norway’s Medkila in the offseason, she recently signed with Vittsjo in Sweden’s Damallsvenskan. Lauren Barnes – Played with LA Vikings in the offseason. With the USWNT U-23 team in the recent Four Nations Tournament in Spain. Recently named an assistant coach at UC Riverside. Nicole Barnhart – Part of the USWNT squad that secured Olympic qualification the day before the WPS season was canceled, was on the squad that finished third in the Algarve Cup in February. Now with the USWNT in Japan. Veronica Boquete – Currently with Swedish side Tyreso, the Equalizer reports Vero is rumored to be a possible WNY Flash target. Jen Buczkowski – Played with LA Vikings in the offseason. Signed with Chicago Red Stars. Part of the Women’s Professional Supergroup. Lori Chalupny – On her way to the Independence before the season was cancelled, Chalupny signed with Chicago Red Stars. Lauren Cheney – Linked to the Independence before the season was cancelled, now with the USWNT in Japan. Laura del Rio – With Bristol Academy in Engand’s WSL. The Equalizer reports del Rio is rumored to be a possible WNY Flash target. 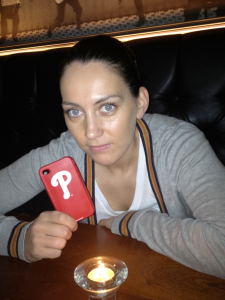 Frida tweeted this photo to show her Philly love after the announcement that the season had been cancelled. Gina DiMartino – Signed with Paul Riley’s NY Fury. Part of the Women’s Professional Supergroup. Tina DiMartino – Signed with Paul Riley’s NY Fury. Part of the Women’s Professional Supergroup. Allison Falk – She is on the staff that organizes the San Francisco Marathon but if you know what’s she’s doing soccer wise, let us know. Sinead Farrelly – The 2011 No. 2 draft pick finished her college degree after the 2011 season. Scored two goals and an assist for the USWNT U-23 squad in the 5–0 victory over Norway to win the Four Nations Tournament in Spain on March 4. Was reported to be with the W-League’s Ottawa Fury but then signed with Paul Riley’s New York Fury in May. Part of the Women’s Professional Supergroup. Danielle Foxhoven – The 2012 WPS draft pick signed with FC Energiya Voronezh in Russia. CoCo Goodson – The 2012 WPS draft pick signed with WPSL side San Diego SeaLions. Lauren Fowlkes – Signed with Chicago Red Stars. Sarah Hagen – The Independence first round pick in the 2012 WPS Draft is with Bayern Munich. Val Henderson – Played with KIF Örebro in Sweden and with LA Vikings in the offseason. Had signed with Atlanta Beat before the suspension of the 2012 season. Signed with Bay Area Breeze of the WPSL. Estelle Johnson – Played with Sydney FC in the offseason. Recently signed with Paul Riley’s NY Fury. Part of the Women’s Professional Supergroup. Tasha Kai – Eloquently, and colorfully, laying into Dan Borislow on Twitter following the cancellation of the 2012, Kai next said she was about to reveal the true reasons behind her break with the USWNT in 2009. Soon after, citing a backlash, she terminated her Twitter account. If you know what she is doing soccer wise, let us know. We miss her. Nikki Krzysik – Signed with Paul Riley’s NY Fury. Participating in the Women’s Professional Supergroup. Meghan Lenczyk – Signed as a free agent by the Independence before the suspension of the season. Recently signed with the W-League’s Ottawa Fury. Participating in the Women’s Professional Supergroup. Lori Lindsey – Signed with Western New York Flash. Part of the USWNT squad that secured Olympic qualification the day before the WPS season was canceled, was on the squad that finished third in the Algarve Cup in February. Now with the USWNT in Japan. Joanna Lohman – After running the JoLi Academy in India in the offseason, founded with her partner and former Independence teammate Lianne Sanderson, she now plays for Espanyol in Barcelona. Holmfridur Magnusdottir – Re-signed with the Independence just days before the season was suspended. With Iceland in the Algarve Cup tournament. Currently with Icelandic club Valur. Merritt Mattias – The 2012 WPS Draft pick signed with Paul Riley’s NY Fury. Kia McNeill – With Russian club Rossiyanka, who were recently knocked out of the UEFA’s Women’s Champion’s League by 1 FFC Potsdam Turbine. Katrin Omarsdottir – After signing with the Independence in January, she was with the Iceland national team in the 2012 ALgarve Cup tournament. Now with Kristianstads DFF in Sweden. Leigh Ann Robinson – Played with LA vikings in the offseason. With Russian club Rossiyanka, who were recently knocked out of the UEFA’s Women’s Champion’s League by 1 FFC Potsdam Turbine. Amy Rodriguez – Part of the USWNT squad that secured Olympic qualification the day before the WPS season was canceled, was on the squad that finished third in the Algarve Cup in February. Now with the USWNT in Japan. Lianne Sanderson – After running the JoLi Academy in India during the offseason, founded with her partner and former Independence teammate Joanna Lohman, she now plays for Espanyol in Barcelona. Jasmyne Spencer – The 2012 WPS Draft pick signed with Paul Riley’s NY Fury.